The Safety Kid program continues to gain traction and improve the lives and futures of children. 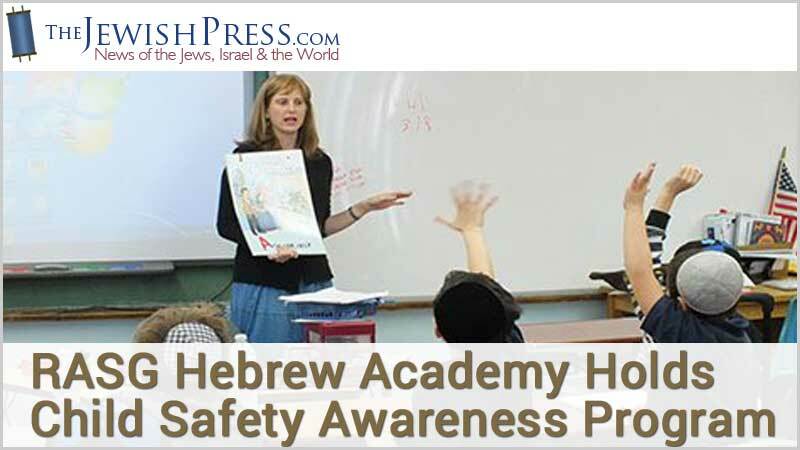 A recent Jewish Press article followed along as Safety Kid—developed by Magen Yeladim Child Safety Institute with sensitivity to the Orthodox Jewish community under the guidance of the National Center for Missing and Exploited Children and the Halachic Advisory Board of Los Angeles—was brought in to RASG Hebrew Academy and taught to its children and parents. The presentation consisted of two parts. The first, was a lesson for parents that gave them the tools to talk to children about safety and abuse prevention at home, in school and around the community. The second, was the in-class workshop for students by trained Safety Kid volunteers who taught them the ABCs of safety. MY Child Safety Institute is proud to play a role in this crucial, potentially life-saving education.